Maximum number per group is 8, minimum is 1. Your exact pick-up time and launch site will be confirmed 48 hours before the flight. Let your travels reach new heights as you look out from a balcony in the sky, at a view of your choice. 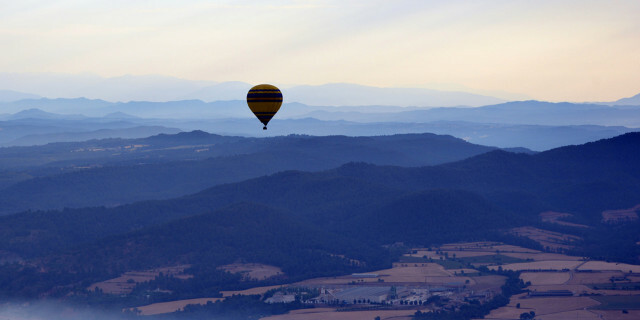 Fly either over Montseny Natural Park, or over Osona, one of Barcelona's largest and most historically significant regions. 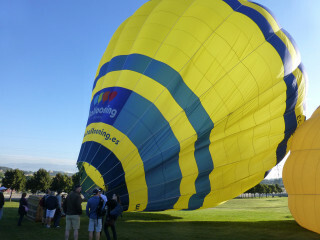 As the sun rises, you are picked up at the meeting point and taken to our launch site. There, you can help with the preparation of the balloon while the crew explains the basic physics of how you will technically float - not 'fly' - in the air. 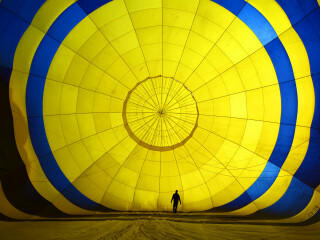 If you are a group of two, you ride a more dynamic balloon (used in competitions), and you will even have the opportunity to try piloting the balloon yourself! 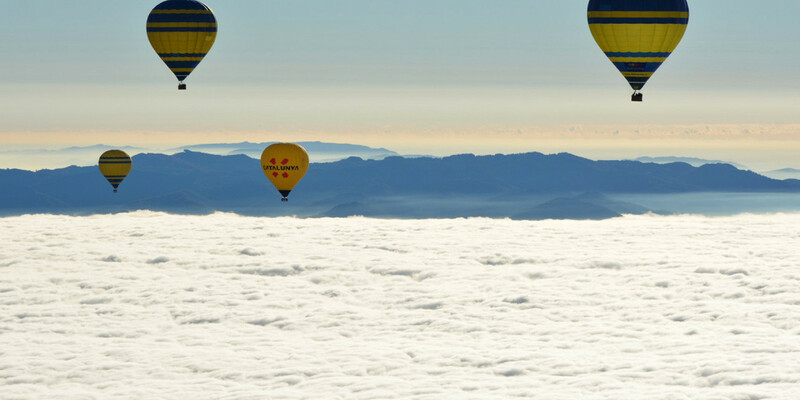 Landscapes open up to us as the balloon lifts off. The surrounding area is home to a large variety of vegetation, from Mediterranean to alpine. 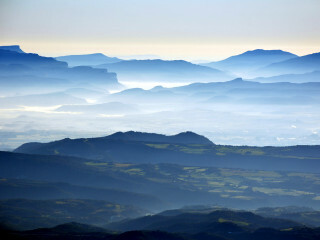 The Montseny mountain range, a part of the Catalan Pre-Coastal Range, has the highest mountains south of the Pyrenees Mountains and dominates the plains south of Girona. We observe the Montserrat mountain and the beautiful monastery as we enjoy the silence and surprising stability of cruising above the clouds. 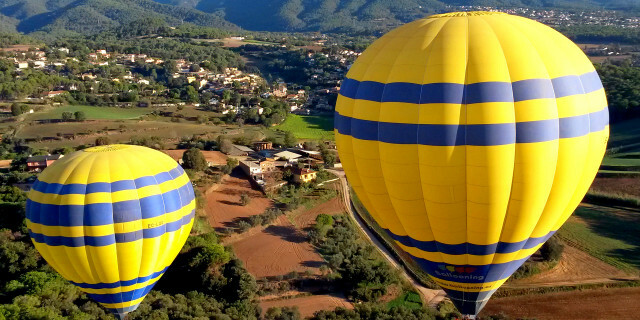 If you choose to discover Osona, the balloon first stays at a low altitude. We pass the historical region, slowly moving towards fields of rich yellows and greens. 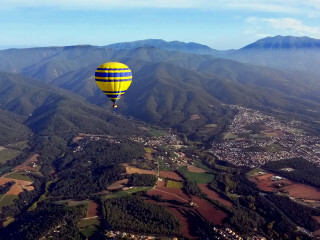 Once we reach an elevation of about 1,000 m (3,200 ft), a 360° panorama of mountains encircles our balloon. We return to the ground one hour later and are taken back to the launch field. There, we are served a chilled toast of Cava – a Spanish sparkling wine – and a traditional snack. Plus, a small gift: a first-flight certificate signed by the pilot. 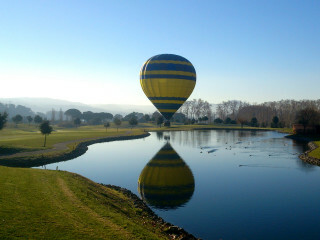 Balloon rides are available all year. The Montserrat's unusually jagged shapes attract two million visitors annually, but to see them among the clouds makes this a memory that will stand out forever.